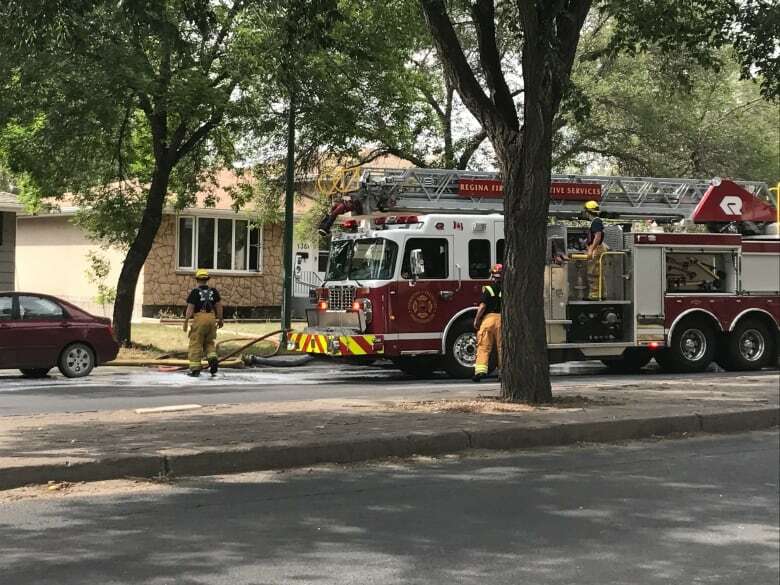 A meter box has caught fire at a Regina home that was on the list to be inspected for the problem, which has left numerous homes scorched by fire throughout the summer. 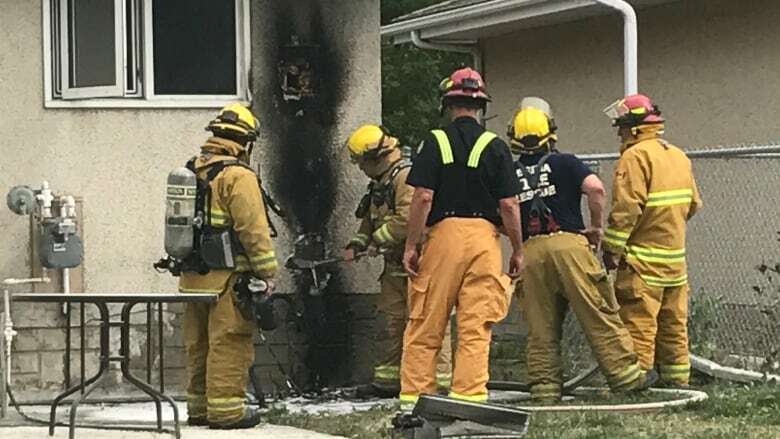 Another meter box has caught fire at a Regina home, this time at a property that was on the list to be inspected for the problem that has caused numerous fires this summer. Crews responded to the fire at 138 McCarthy Blvd. at about 2 p.m. CST Tuesday afternoon. Members of a family that was home at the time escaped without injury. "There is some fire damage around where the power box was, as well as some blackening and some smoke damage around it," SaskPower spokeperson Jonathan Tremblay said. SaskPower confirmed it was caused by a problem that has led to numerous other fires in Regina this year. The fault has been attributed to hot, dry weather causing electrical cables to be pulled down by ground movement in the heat. SaskPower said the home where Tuesday's fire occurred was on the list to be inspected for the problem. It said 90 people were out in the field doing the inspections on Tuesday. Power is expected to be restored to the McCarthy Boulevard home later today. Since about mid-July, there have been eight other meter fires at Regina homes. The fires were caused by damage to the boxes which contain the meters, where ground shifting due to dry conditions had pulled on the contraption's wiring. SaskPower has inspected about 5,600 homes in the past month. As of last Friday, there were still 3,200 homes left to inspect, most of which were in the Glencairn, Uplands and Normanview neighbourhoods. As well, the company has received thousands of calls from people and about 600 people were waiting for an inspection. A spokesperson for the company said on Friday it was hoped the inspections would be finished by end of day Saturday, but they were still continuing on Tuesday. Half of the meters in Regina have been flagged for repair; overall about 45 per cent of all meters in the province have been flagged. Outside of Regina, meters were being inspected in Moose Jaw, Shaunavon, Kindersley and Rosetown. Residents are encouraged to check their power meter boxes and see whether the unit has tilted, which might indicate a cable has shifted. Signs to look for are a tilted meter box, the meter being pulled off of the house, frayed wires pushing out of the bottom of the box, or a new, significant gap between the house and the ground in the power box area. If this is the case, residents are asked to contact SaskPower at 1-888-757-6937. SaskPower said it will ​send someone within 72 hours, but may send someone immediately if the damage is significant.